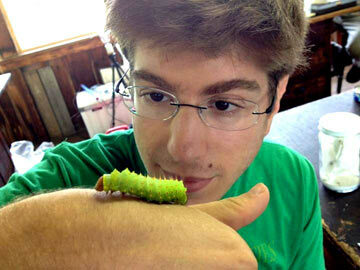 Will Freedberg is an undergraduate environmental studies major at Yale University. As much as he loves New Haven and his native city of Boston, he feels more at home in the tropics, traveling and working odd jobs at field research stations. An avid birder, nature photographer and aquarist, Will tries to find as many outlets for his love of wildlife as he can. He loves studying biodiversity abroad as well as locally, and he recently co-authored a paper describing a new species of fish from the southeastern US. While he’s been a science nerd since childhood, Will really enjoys policy classes and the environmental humanities in school, where he also runs the Yale Naturalists club. After finding himself citing Mongabay for many of his term papers, Will decided to engage his longstanding interest in environmental journalism and started interning with Mongabay in January 2015.